Take a journey into the past in Italy’s vibrant capital. Bursting with ancient sites, delicious food, inspiring street art and interesting landmarks, choosing what to see or do first in Rome can be challenging. And then there’s the modern day Rome, filled with boutiques, café’s and hotels that make the city a sharp contrast of old and new. 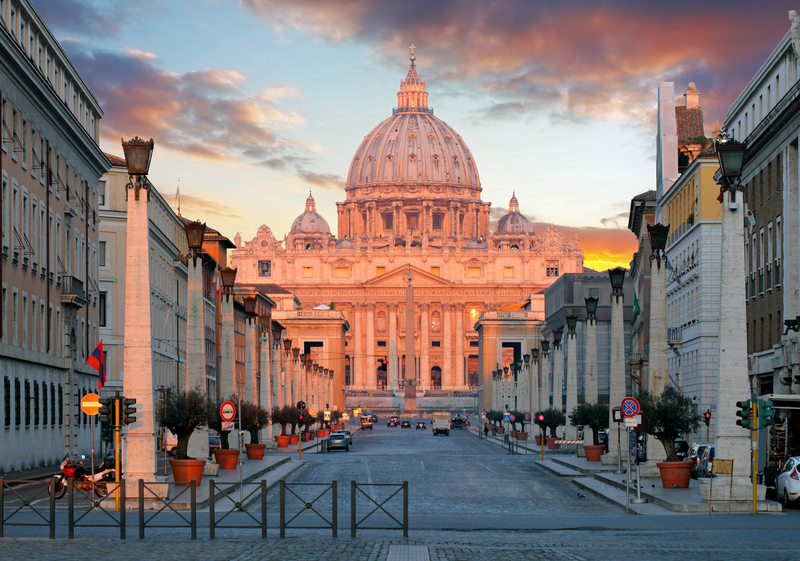 Start your day off with breakfast in Rome’s historic centre before exploring the Vatican Museums, founded by Pope Julius II. They are home to extensive collections of art, archaeology and sculptures across over 50 galleries including the Raphael Rooms, Georgian Egyptian Museum and Collection of Contemporary Art. You can also visit the ornate Sistine Chapel here – a restored Catholic chapel which dates back to the 14th century. Spend your afternoon wandering around St Peter’s Basilica on Piazza San Pietro. It’s one of the most famous churches in the world dating back to the 1500s and is a core part of the Vatican City. It’s the site of many pilgrimages each year, and features works by Michelangelo and another great architects and painters. Although Vatican City is a separate state to Italy and Rome, there are no barriers, so you can easily explore the area on foot, and take public transport further out of the city. This may be the main reason you came to Rome! Take a day to explore the emblem of the city. 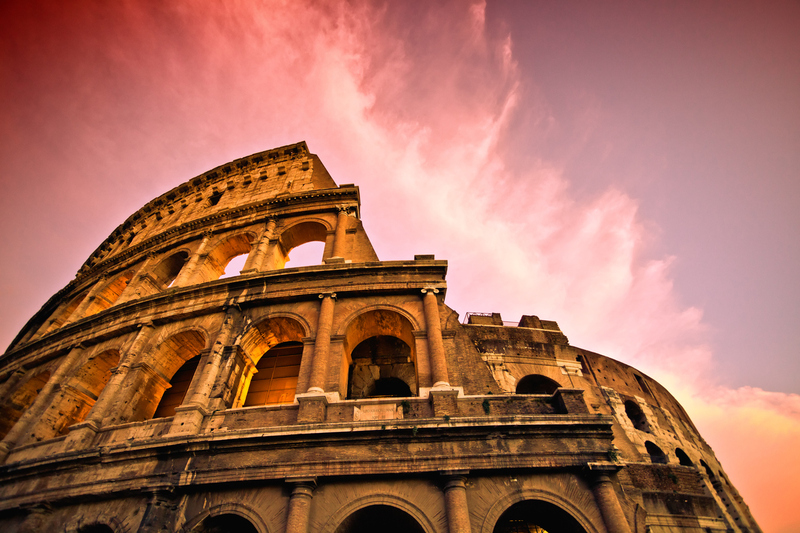 More than 2, 000 years old, the remnants of the Roman Colosseum stand as one of the biggest tourist attractions. Built by man power and opened in 80 AD, the monumental three-tiered amphitheatre was used for bloody gladiator battles and animal slaughters holding over 50, 000 spectators. Close by is the Roman Forum, another iconic landmark of the Roman Empire and point of interest. The large open space was a centre of political and social activity, filled with temples, squares and government buildings. Today you can buy tickets to explore both of sites on your own or on a guided tour and learn all about their fascinating past. The sightseeing continues on your third day at the Baroque Piazza Navona. One of the most popular public squares in Rome, it’s lined with restaurants, gelaterias and shops so you’ll have plenty of opportunity to enjoy lunch al fresco. The ornate fountain Fontana dei Quattro Fiumi sits proudly in the square too, designed in 1651. A short walk from here will take you up to Trevi Fountain in the Quirinal district, set among churches, shops and restaurants. On the way, make sure you stop at Giolitti – Rome’s oldest and best gelateria. A must-see when in Rome, the Trevi Fountain was designed by Nicola Salvi and features a grand marble statue of Neptune at the centre. Marvel at the design and remember to throw a coin into the water! At night, the fountain is illuminated making it a truly romantic spot for photos. 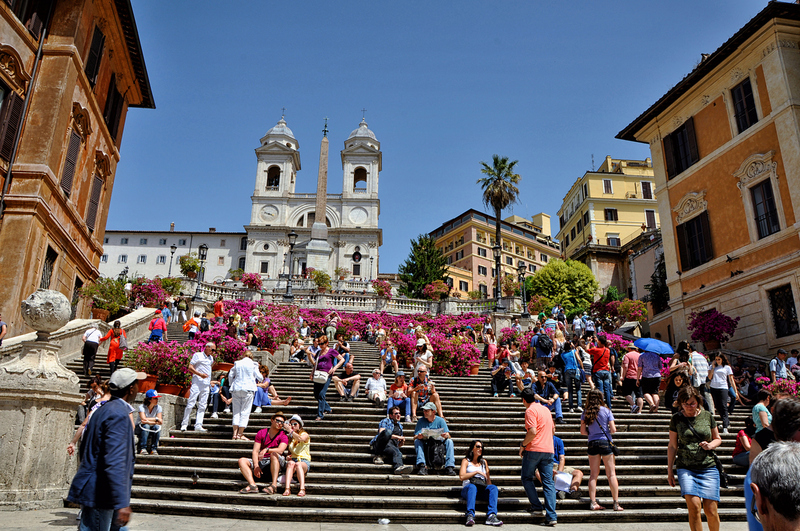 Finally, take a pit stop at the Spanish Steps on Piazza di Spagna, close to Rome’s fashionable shopping street Via dei Condotti. A central meeting place for locals and tourist alike, it’s thriving with crowds. From here you can walk up to Trinità dei Monti Church to admire the piazza from a height. Spend your evening sampling mouthwatering dishes from the many restaurants in the area, or head on your very own wine tasting tour. Travel Republic is a travel search website acting as agent only in providing access to the widest choice of travel products from a vast range of providers all at the best prices. Each product is booked separately by you with the travel provider and creates a contract directly between you and the provider of that product. Travel Republic champions value, choice and flexibility and does not sell, organise or arrange package holidays. The total financial protection plan and *price match guarantee apply to each and every individual booking. Travel Republic is licensed and bonded with the Commission for Aviation Regulation under licence number TA0724. *Low deposit offers are available where indicated next to the specific flight or hotel in your search results, or as advised by your agent. The specified deposit will be required at the time of booking. The balance of the flight cost will be due 28 days from the date the booking was made. Any remaining payment will be due 14 days prior to departure. Please see here for our full Agency Terms and Conditions applicable to bookings. **Super low €1 hotel deposit unavailable on non refundable rooms, due to the exceptional value of these rooms. Under the €1 low deposit scheme, the balance of the accommodation cost is due 14 days prior to departure. Please note that standard cancellation terms apply.